Sanofi (NASDAQ:SNY) announces that it and alliance partner Alnylam Pharmaceuticals (NASDAQ:ALNY) have agreed to conclude the research and option phase of their 2014 RNAi therapeutics collaboration in rare genetic diseases. The partnership terms for patisiran, vutrisiran (ALN-TTRsc02) and fitusiran will continue unchanged. Alnylam will advance an additional candidate in an undisclosed rare inherited disorder through the end of IND-enabling studies. Sanofi will responsible for further development and commercialization. 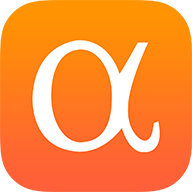 If approved, Alnylam will be eligible to receive tiered double-digit royalties on global net sales. The parties also agreed to amend certain terms of their equity agreement, including releasing Sanofi from its lock-up of Alnylam stock, subject to trading restrictions.